SEO can make or crack any website, but it’s especially critical for magento sites whose success depends on attracting, converting, retaining and delighting the most customers. 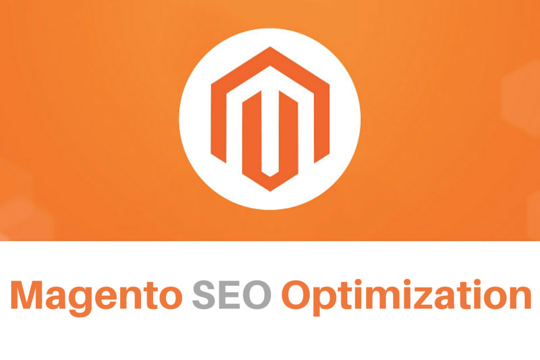 SEO optimization of a magento site (Ecommerce website) is more complicated that have thousands of product listings. Before moving towards learning SEO tips for your Magento website optimization, it is important to know why you need search engine optimization (SEO) for your website. Do you prefer online shopping after being redirected from a social networking site or social media site rather than searching for a product on Google? Most of the web users prefer Google for their product before making any online purchase. Therefore, search can ultimately bring more traffic than social sites on your magento store. According to a recent behavioral study, 75% of WWW users do not scroll over the first page of Google search results. A long-standing magento online store receives 68% of its customers through search engines rather than redirection through social media sites. So these are some Magento SEO facts that you should know before implementing or planning any SEO strategy for your magento website. If you are making duplicate title or descriptions for your ecommerce website products than believe me you are creating big hurdle for your website to list in first page of Google. Search engine will find it as duplicate content and will penalize your site. Product descriptions are your opportunity to entice visitors to buy your products. Product pages with customers positive reviews convert website visitors into product buyers because reviews build credibility and provide social proof to prospective buyers. According to SEO perspective, products pages that features reviews rank higher on Google because reward pages that are frequently updated with unique and fresh content. 40% of visitors to your product pages will leave if your site will not load within three seconds, and 80% of visitors won’t come back on your website if they are unhappy by your website’s loading speed. This factors is also applicable for mobile version of your website. Online buyers who search using a long-tail keyword typically know exactly what they are looking to purchase. So implement long tail keywords in your magento store is a good idea. The navigation of your magento website should be create in natural way. Dont add the unnecessary categories or products by which the user get confused. Dont create meta data automatically for product pages. The meta tags of your magento website should be unique, catchy and contain keywords within it. So be sure to include persuasive call-to-action phrase while drawing the metadata text. Add effective images & videos in product pages while keeping page load times in mind, and remember to tag them with relevant metadata so they will show up in image based searches as well. Implementing rich snippets in your Magento website will result better in search results & also achieve higher rankings. Google rewards ecommerce product pages that use rich snippets because the search engine’s goal is to return the most relevant search result to improve the user experience. So dont forget to implement rich snippets on your product pages. You will think, why to keep live to your out-of-stock pages while they will not make any revenue? If some of your product will get out-of-stock it means, people are really liking that product or it may ranked on top. So you can take benefit of that product page while showing other relevant products on that page. You can also inform your visitors, when it will be back in stocks. Internal search function in a Magento Ecommerce website can return the most relevant search results. So be aware of not to make any spelling mistake in your product or category pages. You can also enable the predictive searches in your internal search function. Apart from all these, you should frequently test your website for errors, analyse keywords & competitors, monitor Google’s latest algorithm updates. Isn’t it amazing? At CDN Solutions Group, we have developed many ecommerce websites using latest ecommerce platforms while targeting the revenue generation in mind. If you also need a suggestion or guidance for your ecommerce website, feel free to send us a free quote here. Why to Attend Communic Indonesia 2016 Conference?